Whitsunday islands are a group of continental islands off the coast of Queensland, Australia. 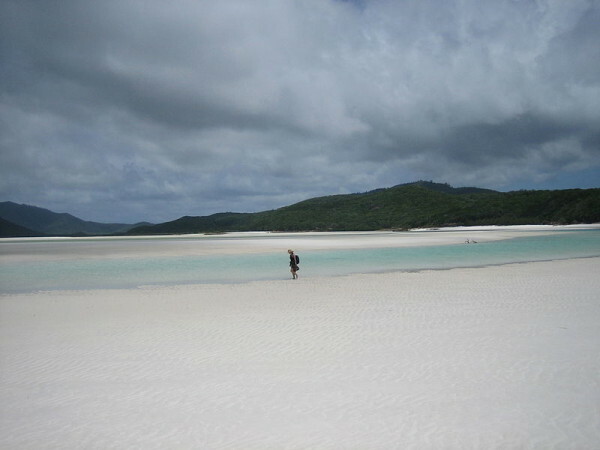 The Whitsunday islands are a major tourist attraction destination. Tourists visiting Queensland and the Great Barrier Reef, do not miss an oppurtunity to visit the beaches here. A survey estimated that around 700,000 tourists visited the island between the year March 2008 and March 2009. The Whitsunday group is divided into a number of islands. Bird Island, Border Island, Cowrie Island, Dent Island, Langford Island, Titan Island and Whitsunday Island. 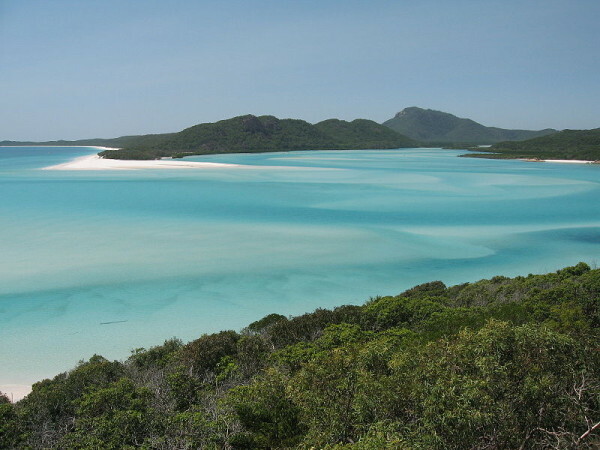 The Whitehaven island is one of the most famous ones in Whitsunday island. This beach extends for over 9 kms. It is a pure stretch of pure white sand. The beach is sorrounded by clear water, and tropical rainforests. This beach is known as the most beautiful beach in Australia and in all the other continents. The most amazing fact about this place is that almost 98% of the sand is pure silica and this is the reason why it has been named as “Queensland’s most beautiful beach”. It is believed that the sand was actually originated from south of Fraser Island and the Goldcoast region. The Whitehaven beach is a perfect paradise for the beachlovers. This tiny beach does not have too many watersports, but the best place to catch up on swimming on the beach. There are a number of resorts in the area. These are the perfect place to stay. The resorts have a beautiful seaview and are an amazing place for you and your family to relax. The Whitehaven beach at the northen end has a hill inlet, which is an amazing cove where the tides shifts the sand and the water and creates a beautiful fusion of colors. The ferry rides are an all time favorite among the tourists visiting the island. The best variety of seafood is available in Whitehaven. Shrimps, lobsters and squids are some of the best varieties available there. Also, you can have some great time at the beach by relaxing and rejuvenating yourself in the spas at the hotel. This is a great place to be with your family and friends if you are planning on spending some quality time together. The place is inexpensive and offers you a picturesque scenery around.